Excellent location on the edge of Navan Town Centre, just off Athboy Road. The property is situated on the northern side of Navan approximately 1km from the town centre. Navan, with a population of 28,559 (Census 2011), is the county town of Co. Meath. The town is situated approximately 30.0 kms west of Drogheda and 55.0 kms northwest of Dublin city centre. Navan’s proximity to Dublin ensures that it has excellent public transport links with the capital and the town has a wide range of top quality housing and schooling options available. The National Spatial Strategy and the Strategic Planning Guidelines identify Navan as a Primary Growth Centre in the greater Dublin area. 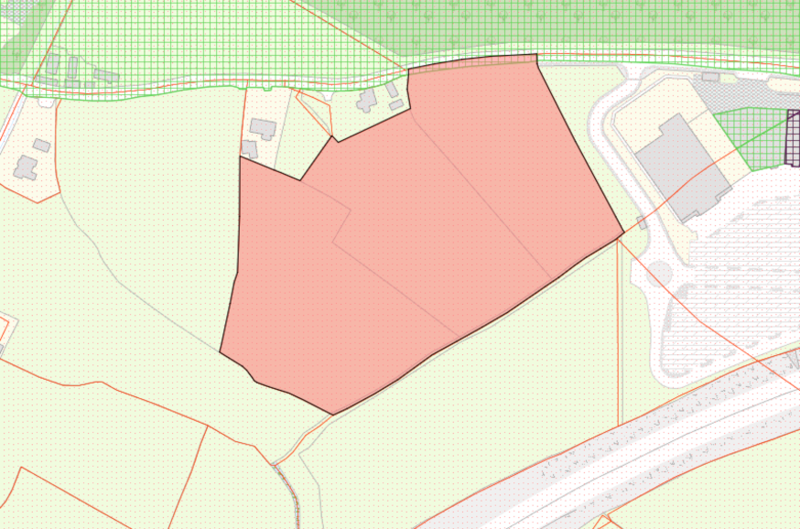 The property extends to approximately 4.37 hectares (10.79 acres). The lands comprise of an irregular shaped plot of ground with an extensive 90 metres frontage. This is a generally green field site. 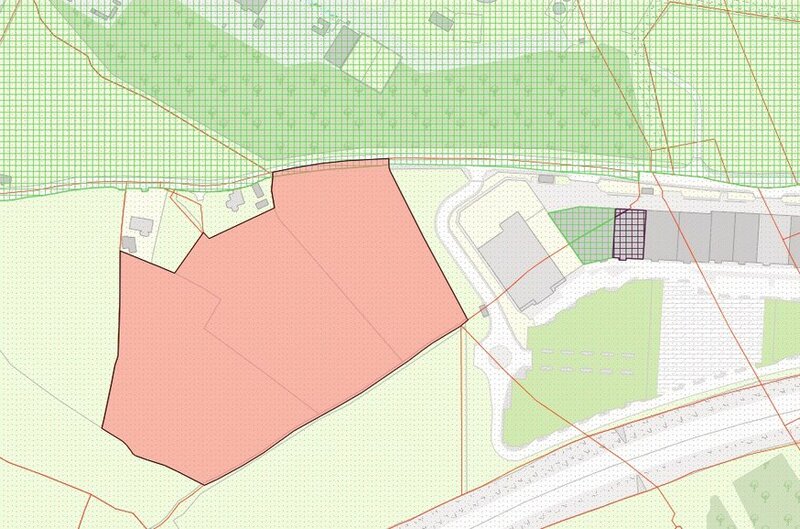 This site forms part of an overall land bank designated for the development of Navan’s Retail Warehousing. While we understand that services are available, interested parties are required to satisfy themselves as to the availability and adequacy of these services. New entrance has been provided to the property. 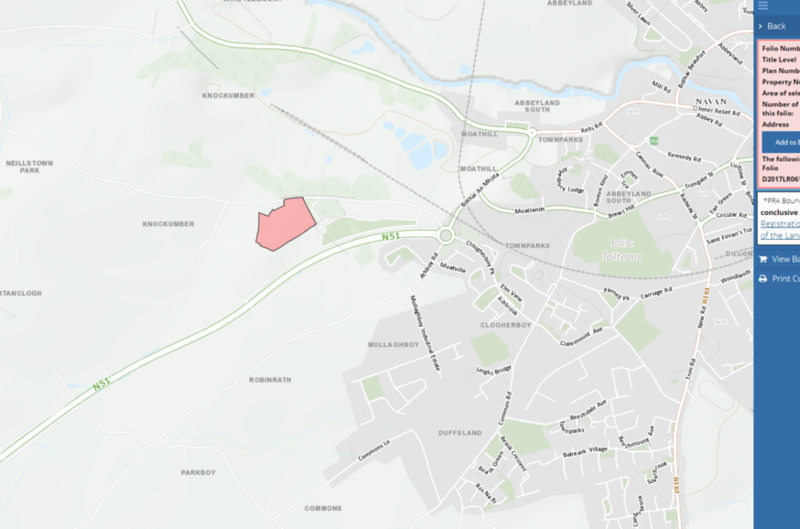 The site is zoned B4 “to provide for the development of a retail warehouse park in accordance with an approved framework plan and subject to the provision of necessary physical infrastructure”. Uses, which are permissible under this zoning include retail warehousing and telecommunication structures. Restaurant/café, shop-major, sports facility uses and wholesale warehousing are all open for consideration. 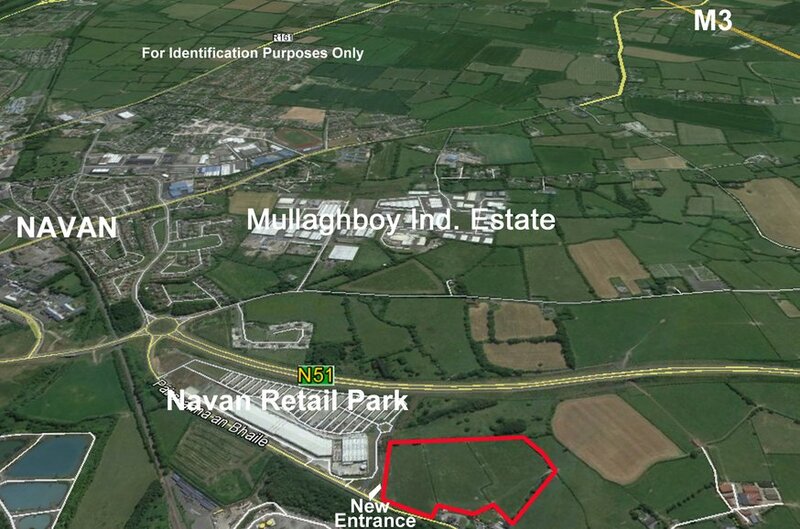 The site has the added benefit of being located next door to Navan Retail Park. The property is situated within approximately 750 metres of the M3 Northern Feeder link road which further enhances the sites accessibility. This road is one of the primary access points to Navan from the M3 motorway. 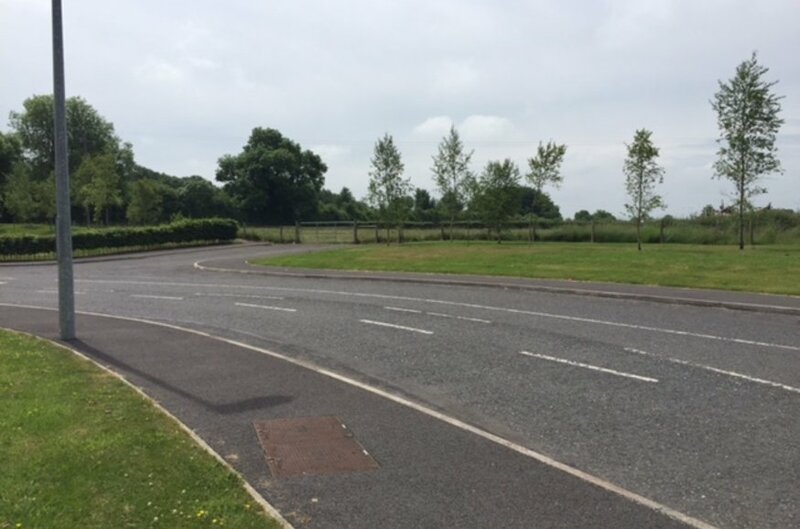 This property is close to the roundabout at the junction of the M3 feeder road and the Athboy road. From Dublin: Travelling on the M3 motorway take exit 9 and head towards Navan town centre. At the roundabout take the first exit passing Navan Retail Park on your left and the land is located directly after the park on your left hand side. (Sign on Property). 8/9 Bridge Street, Navan, Co. Meath.